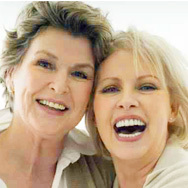 In order to help you, we summarised some of the key things to look for when shopping for anti-ageing products. It can be confusing, but after reading this you’ll have a much clearer understanding of what ageing skin really needs—all supported by published, scientific research, not meaningless hype! The fact is your skin needs a balanced, elaborate mixture of powerful ingredients to improve its texture, revive radiance, visibly even skin tone, improve loss of firmness, and visibly minimise other signs of ageing, including the appearance of wrinkles. Skin isn’t just surface: It’s your body's largest organ and it requires a complex range of ingredients to look beautiful and ward off telltale signs of ageing. As long as the product contains the best anti-ageing ingredients, the texture can be a cream, lotion, serum, gel, or even a liquid formula. When any of these varying product textures are filled with proven anti-ageing ingredients, they will work wonders to improve the appearance of your skin. Your skin needs ingredients that support and maintain its resiliency, counter signs of environmental damage, and replenish it with ingredients that young ksin has in abundance. Let’s go over the five types of ingredients we consider must-haves for ageing skin! Healthy, young skin’s surface naturally contains substances that keep it smooth. Doing so helps skin retain an ideal balance of water to preserve its moisture balance. These ingredients include ceramides, lecithin, glycerine, fatty acids, polysaccharides, hyaluronic acid, sodium PCA, peptides, amino acids, cholesterol, glycosaminoglycans, and many more. One way you can help turn this around is to apply products rich in restorative ingredients like retinol, synthetic peptides, niacinamide, lecithin, and adenosine. All of these help to revitalise and energise skin’s surface so it reflects a younger-looking, visibly firmer, less lined, and more even appearance. About 75% of what we think of as signs of ageing is caused by unprotected sun exposure. That's why applying a broad spectrum sunscreen every single day is the most important thing you can do to decrease the risk of skin cancer and stop these early signs of ageing. Ready for a shocking fact? Sun damage begins within the first minute your skin is exposed to daylight, even if it’s cloudy. To ensure you're getting sufficient broad spectrum protection, your sunscreen must state “broad spectrum protection," and, for even more benefits, contain a mix of antioxidants. It’s perfectly OK to layer makeup (like foundation) with sunscreen over your facial moisturiser with SPF. Note: The only significant difference between a daytime moisturiser (day cream) and a nighttime moisturiser (night cream) is that your daytime moisturiser should contain sunscreen. There aren’t special ingredients skin only needs at night and somehow cannot benefit from during daylight hours—that’s a beauty myth! Now that you know the types of ingredients that should be in any leave-on anti-ageing product you use, the question is: What type of product should you buy? Should you shop for a lotion, gel, serum, cream, liquid, or balm? Sunscreens, antioxidants, skin-replenishing ingredients, and skin-restoring ingredients are what the best anti-ageing products should deliver so you can have better skin starting now!